Do you have a fancy font used in your slides that won't show up on other computers? 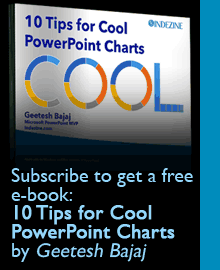 You can convert any such PowerPoint text to shapes! Do you have a fancy font used in your slides that won’t show up on other computers? You can convert any such PowerPoint text to shapes! There are two methods of converting textual content into forms in PowerPoint. One is the Intersect method, in which the entire text is converted into a single shape — think of each paragraph or multiple paragraphs as a separate shape. And the other method is Fragment which results into converting the textual content to multiple individual shapes — think of each alphabet as a separate shape. Explore more in the following tutorials.